At Kasper Electric, our residential electricians are licensed, experienced and reliable. Your home is where your heart is and we take great pride in serving you there. 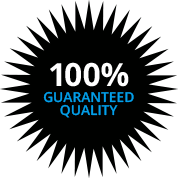 We value your trust in our residential electrician team and always strive to exceed your expectations. For the last forty years we’ve delivered five-star electrical service to West Palm Beach, Palm Beach Gardens, Jupiter and beyond. We’re committed to providing quality service to the residents of Palm Beach, Martin, Broward and Dade Counties. You can count on us for timely efficient responses to all of your electrical service needs. We’ve been bringing solutions to light for homes since 1978. Our team is comprised of the best electricians in South Florida, each undergoing stringent background and security checks. Our electricians are required to complete on-going training and development to ensure we deliver the highest standard of electrical service. Our commitment to improving the quality of life of our clients drives our residential electricians to provide safe, effective and affordable service for you and your family. What Services Do Residential Electricians Provide? Our residential electricians are trained to service a wide range of electrical problems in the home. These malfunctions may require repairs, replacement or installations. Facing an electrical issue that’s not listed here? No need to worry. Our team of customer service champions are standing by to listen and take action to resolve your issue quickly and efficiently. They’ll dispatch one of our expert electricians to troubleshoot your problem and bring the best solutions to light. Our transparent, upfront, no pressure estimation policy is as easy as 1-2-3. Thoroughly explain the problem and review your options with you. Provide you with a detailed estimate of the projected time and cost for your repair. Call us today to learn more about our residential electrical services and schedule your solution today!